3 out of 4 accounting clients say they would like a consistent way to provide feedback to their providers. But where, and how, should your firm begin when asking clients how you can improve? Designing a satisfaction survey initiative is a great place to start. What steps can be taken to maximize the ROI of a survey program for your team, your clients, and even your prospects? Gain the most valuable insights possible from the initiative. 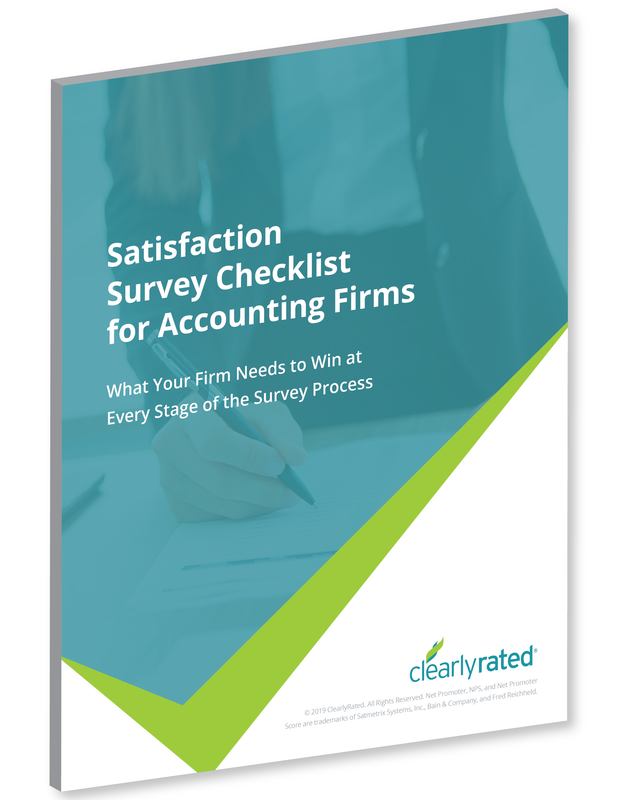 With more than a decade of experience administering satisfaction surveys for professional service providers — ClearlyRated is thrilled to share with you these hard-fought lessons from the field.